What To Do About Zoos? Poor captive wild animal welfare is globally prevalent and the challenge to make improvements is vast; addressing wild animal welfare concerns within captivity is, and will remain complicated. From assessment challenges, cultural diversity and differing attitudes, to changing global demands and expectations, variable legislation, and the complexity of meeting a variety of specific species needs, it is only complicated further by the ever questioned ethical conundrum of keeping wild animals in captivity. Let's assume for now, Rightly or wrongly, zoos and aquariums will continue to successfully exist worldwide. However in doing so, there is a real fear that the gap between the "good" and "bad" zoos (including private collections and un-regulated sanctuaries) for animal welfare will continue to grow. The better zoos are already investing in, and developing better animal welfare practices, recognizing animal sentience as a growing player in decision processes and adopting responsible action based on the well-being of the animals in their care. On the one hand, these improvements can contribute to driving forward better protective legislation, guidance and policies in poorer wild collections. On the other, while attempting to assimilate their overseas partners, bad sub-standard collections inadvertently cause further suffering through the importation and management of a number of species which they have limited resources, expertise and capability of managing. International reporting and in particular the power of social media continues to, and rightly so, highlight some of these worst captive situations, and as a consequence, many people don't differentiate the differences in standards between one zoo and another. The result is that when cases of poor welfare are reported in the media, all zoos, good and bad, are impacted in terms of public opinion. The resulting political aftermath can not only hinders progress within the better zoos, but quite often largely impedes efforts to tackle the issue at hand in the under-developed zoos. And who out there should be tackling these poor collections? Who is willing to provide that guidance and support? Quite often the impregnable divide between pro or anti zoos is fairly evident, with differing opinions on whom should be helping whom. And while the better zoos and accredited regional associations (some more than others) make great effort to provide various programs of support, this guidance is a mere drop in the ocean in regards to the vast number of poor collections out there (an educated guess could put the number around 7,000 or more). So with those campaigning for the end of wild animal collections battling those advocating the benefits of such institutions, the problem continues. However there is a positive rise in collaboration between those organizations and individuals who recognize differences (even ones as vast as the gulf between anti or pro captivity), but are still prepared to work with the "enemy" on projects with shared goals, most commonly, to end the suffering of specific captive wild animal practices. It is well known that captive wild animal and zoological concerns are inherently linked to a vast majority of wild animal welfare issues. From the illegal wild animal trade and wild animal capture to animal abuse for tourism, the sub standard captive wild animal industry is intrinsically associated with such practices, and as such, strategically working on addressing all related welfare concerns, will help contribute to the collaborative effort to end such practices. Equally, senior level management within sub-standard zoos actually have a significant ability to influence other aspects of wild animal welfare. 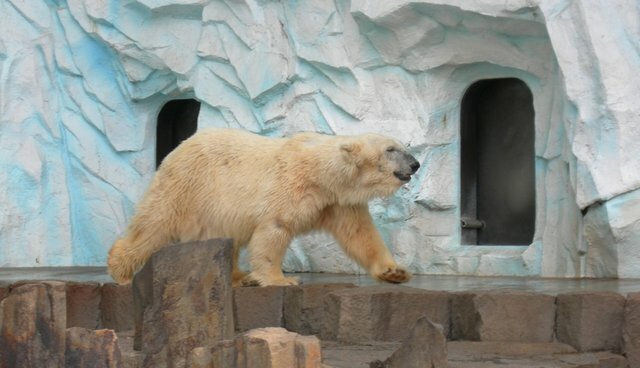 In many cases, directors of these zoos also have significant roles within government departments and/or official representatives for CITES or similar bodies, and by affecting change through captive welfare improvements and policy, it can in turn have a positive influence on similar nation-wide wild animal welfare issues. There is no one solution. Public and policy led action, and galvanizing action within globally influencing bodies is a start. However, the issue of sub-standard zoos holding wild animals in appalling welfare conditions is globally prolific and neither the animal welfare community nor the zoo community alone can, or should tackle it. Whilst there are some major differences of opinion between the mainstream animal welfare NGOs and the accredited zoo community with reference to which animals should or should not be maintained in captivity, the reality is that there is a lot more common ground. All want to improve the welfare of captive wild animals that are housed in deplorable conditions around the globe. Understanding that there is that shared mutual passion for animals, and working together on those shared goals, can not only help recognize and address differences, but acknowledge personal and organizational responsibilities towards better animal welfare. There is enough political, cultural and organizational inertia already in the world acting as a barrier to improved animal welfare, and by working in a collaborative effort on more mutually agreed projects, we can overcome these problems and really make a difference.